The Ultimate Halloween in Oklahoma! It’s time to get ready for Halloween in Oklahoma. Find ghosts, goodies, goblins, and more to get in the spirit of the holiday! Tour a cemetery, buy delicious candy, or go on a pub crawl in your best costume. 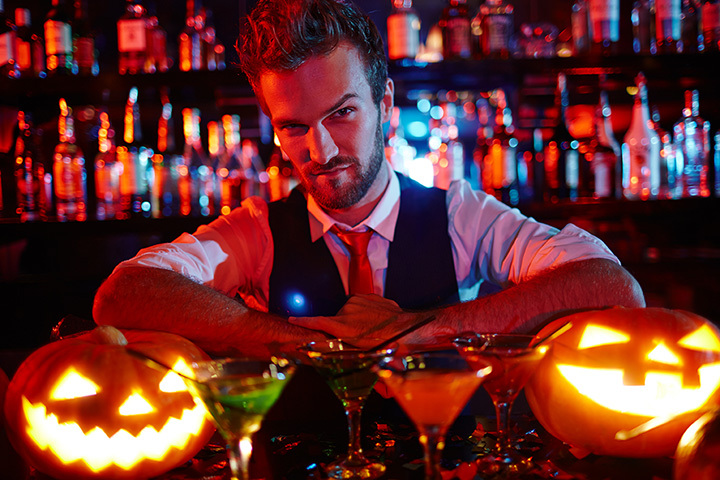 Here’s how to have the ultimate Halloween in Oklahoma! Historic Fort Reno is considered one of the most haunted places in Oklahoma. During World War II, the fort housed German prisoners. Take lots of pictures because there are reports of mysterious orbs showing up in photographs. During October, the fort is hosting a couple of Ghost Tours for a spooky evening of fun and history. The Boom has multiple viewings of this classic Halloween movie all month long, with two special showings on October 31. You’ll want to arrive early and have dinner before the show. If you’ve never experienced Rocky Horror, make plans this year to go and see what it’s all about. This haunted house is themed after a 1940s sanitarium. You might lose your sanity when you take a tour of the dark history of mental institutions before they were regulated to control the staff. It’s one of the best Halloween attractions in the state. Shop for a costume at this store to find the perfect look for the night. This isn’t a Halloween-only store, so you’ll find high quality costumes and be assured that the staff will help you find what you want. Halloween is all about the candy. Shop at a store that specializes in sweets and be the house on the block that everyone talks about. This trail is designed to make the hair on your neck stand up. They only allow one flashlight per group on the walk and you have to sign a waiver before entering. Consider this before bringing your kids out. This site is tucked away on a suburban lot. It was once the winter camp for a circus. The place is eerily creepy, abandoned cages and trailers are decaying, but the spirits of elephants, lions and tigers can still be felt. The property is private, but you can view parts of the grounds from behind a gate. Halloween wouldn’t be complete without blood and a murder. At this interactive dinner show, the killer is hiding among the diners. You might even be a prime suspect. There are special Halloween shows during October. Even though the murder might be fake, the fun is real.